October 2018 Blog - Our Theme "Letting Go" & Our Oil is Cedarwood. Welcome to October. Historically the time of many festivals including my most favorite Holiday – Halloween. In the old tradition Halloween was called Samhain – (pronounced saah-ween) a Gaelic festival marking the end of the harvest season and beginning of winter. So in the old traditions, it was a time to honor the harvest and to celebrate ancestors and those who have passed from this lifetime. Halloween like many holidays marks the passage of time. We may notice that vegetation dies back with the arrival of killing frosts. This maybe where the ancient notion that the veil between the worlds is thinniest around this time. In other words, some believe this time of year is when it is easiest to communicate with those who have died. In more current times Halloween is the holiday where children (and others) don masks and costumes and go trick or treating. I have tried to figure out over the years why I love Halloween so much. I think because even as a child, I knew this holiday speaks to a sense of fantasy, community and generosity. On what other holiday do we seem to trust our neighbors so deeply – knock on doors, are greeted with a smile and a treat? On what other day of the year are we encouraged to pretend to be someone else even and engage our imagination for just a few hours? From memories of the early days of my childhood in the 1960 and 70’s going door to door with my father and sister to trick or treat, to later going with gangs of friends, or college parties filled with crazy costumes, to adulthood when my husband and I so loved decorating our house and yard and we became the ones answering the door and giving out the treats, this Holiday has always made me happy. In October nature begins to show us the cycle of death and rebirth through her amazing display of colors on our trees. It is a time of great transition where the light wanes and the temperatures drop. October is a time for clearing away the old unnecessary things or habits that no longer serve us. It is a time when we honor those who have died and the gifts they brought us when they were here on earth. For our ancestors, it was a serious time of setting intention that winter will come and go with the least negative effects. Our bodies can be challenged this month as it tries to assimilate all the changes in frequency hitting our planet. It will take some discipline and a great deal of compassion and patience and you can begin by looking at how you support your physical body and what you can do to increase that support. Rose Healing is here to help with this. Some other ideas for how you can honor this Autumn: Take a meditative walk in nature observing the beauty of the colored leaves. Experience the cycle of death and rebirth as nature shows it to us. Visit a cemetery where some of your ancestors lie in their final resting place. 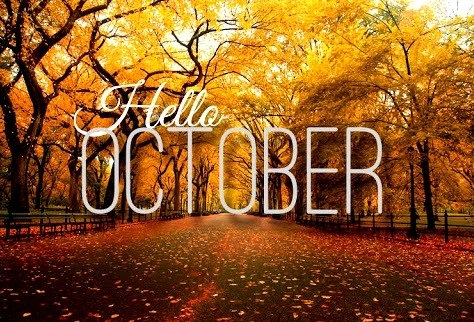 Maybe carve a pumpkin, bake an apple pie or don a costume and embrace the energy of October. Since it is also a time of letting go, consider going through your closets and giving away that which you no longer need or use. This exercise of clearing away things from our household also encourages a “clearing away” on other levels. This is a time of year for contemplation. A time to recalibrate. The themes continue about letting go and clearing what no longer serves us. Explore your daily life. Think about what works, what doesn’t. Be creative, try something new. Our oil of the month is Cedarwood. Cedarwood has an earthy aroma that is soothing and grounding. It has been used for centuries by the Eqyptians and Tibetans. It is mentioned over 40 times in the Bible. Cedarwood is a great oil to help us feel connected, grounded and comforted. This oil eases nervous tension, calms anger and relieves stress. It can help us embrace the feelings of safety and security. How to use Cedarwood: Apply to 2-4 drops on neck, hands, feet, Directly inhale or diffuse. If you are interested in purchasing Young Living Oils, please contact me. We here at Rose Healing Center stand ready to help you become more centered, grounded, peaceful and healthy. Our practitioners, Dr. Pam Charles, Betty Sue Hanson, Mary Ellen O’Brien, and myself are ready to help.